Take a Heart Health Quiz today to determine where you fall on the heart fitness scale. Heart health is extremely important – one easy improvement is to start mixing more colors into your meals. And, don’t forget to enter the Gustavus Fit Bit Giveaway! Click here to enter. Know your numbers? 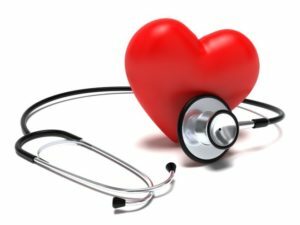 Take the Heart Health Quiz! How often do you eat fried foods? How many cigarettes have you smoked this week? How many colors were in your last meal? How do you feel after climbing three flights of stairs? 0-2: You are on the right track. Exercise, eating right and avoiding cigarettes can help prevent 80 percent of heart disease. Keep up the great work! 3-7: One or two harmful habits can increase your chances of developing heart disease. Make the commitment to one healthy behavior change, like exercising or quitting smoking. 8 or higher: Get to the doctor and ask for help in reducing your risk. Teri Erhardt is a WELCOA Faculty Member, a Certified Natural Health Professional, has a B.S. in Holistic Nutrition, and is a Wellcoaches Certified wellness coach. She is passionate about helping people discover the gift of well-being!